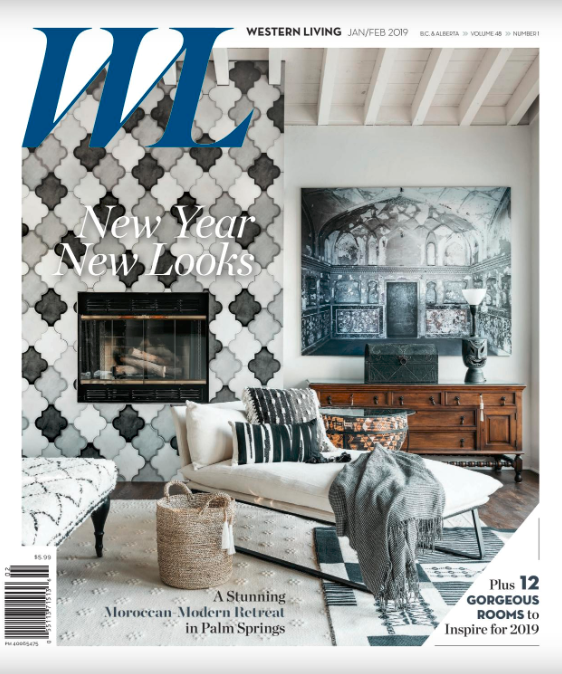 Our latest editorial in this month’s Western Living is a beautiful example of thoughtful design in an area that is often overlooked, the staircase. Designer Ami McKay of Pure Design chose a custom pattern from our terracotta specialist, Tabarka to elevate her client’s stair risers. In a house of bright whites and plenty of natural light, this stunning tile pops with its subtle design lending Spanish flare to this family’s home. 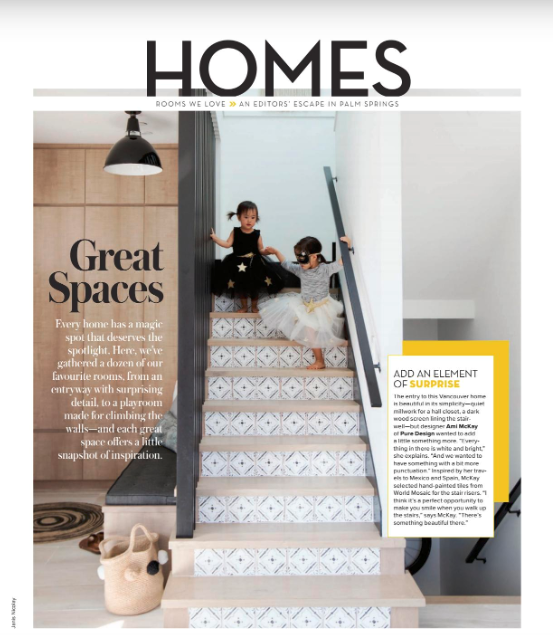 Thinking of renovating a space in your home? Stop by our showroom to chat with our friendly staff about your next project and see our extensive collection of tiles! For more inspiration, check out our Instagram and Facebook pages for a preview of some of our projects and newest arrivals.